These BlackBerry apps are a lot of fun — and that’s about all. They don’t help you be more productive, but they can make you the center of attention at your next party, whether you’re mixing the drinks or quizzing the guests about their personality profiles. 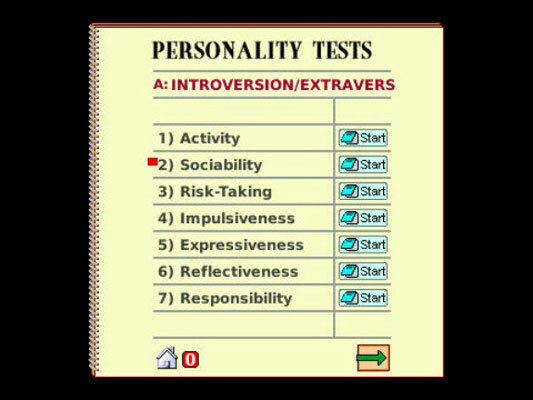 The questions are ones that would not offend a psychologist or surprise anyone who has ever taken a standardized psychological profile. 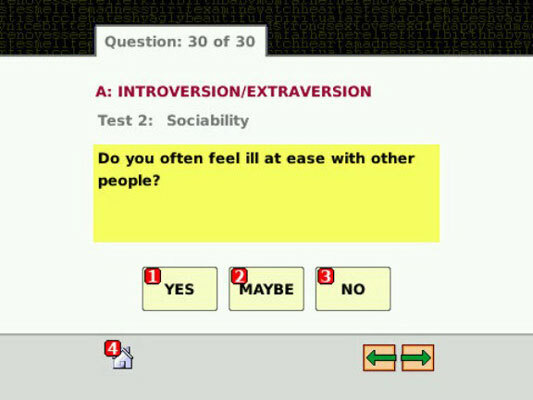 There are some games and entertainments and even some open-ended text questions to pose around the table and see how different people react differently: are their responses compassionate, uncaring, violent, or just plain odd? EasyBartender, from Adorno, is a very nicely designed and incredibly fulsome app that includes more than 12,000 drinks: the name, the ingredients, the mixing method, and the proper glass. 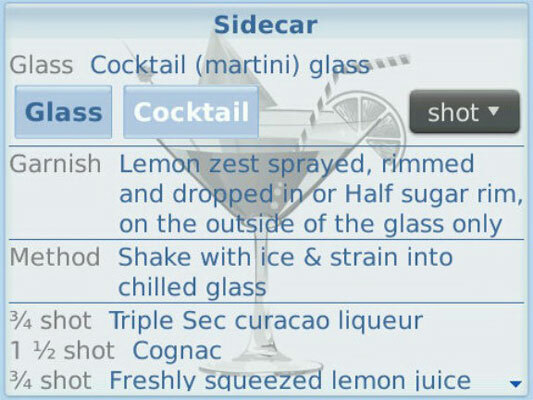 You can search for drinks by name, by type of alcohol, or by method of mixology. And you can have the recipe with measurements by the shot (in ounces) or by the milliliter. Create a list of your favorite drinks and add your own recipes if you’ve invented or adapted a drink (or if you somehow come across one that’s not included in the huge database that is part of the package). And this is a fully mobile application — no Internet or other connection required. 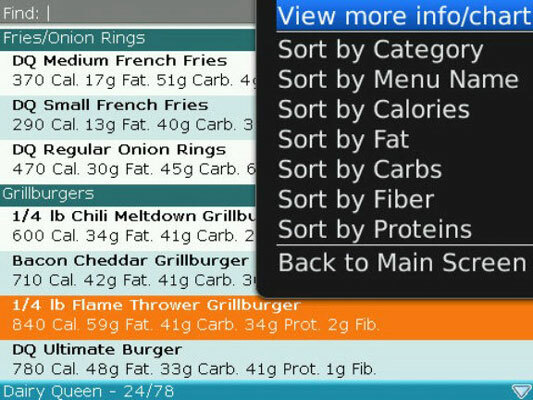 If you’re not already on a diet, you just might start one after you’ve spent a little time using Mobigloo’s Fast Food Calorie Counter on your BlackBerry. This slim little app includes more than 5,900 menu items from 55 popular fast food chains. That’s pretty impressive, and so are the numbers it spews out when you consult it. Its biggest shortcoming is that it is merely a listing. You can’t input the exact order you’re considering and see the potential total damage you may be about to inflict. Instead, you have to look at items one at a time and do your own accounting, which just might make the fellow in line behind you start grumbling. The BlackBerry iSpyCams, from SKJM, is a form of guilt-free voyeurism or, if you prefer, a way to travel the world without leaving your chair. 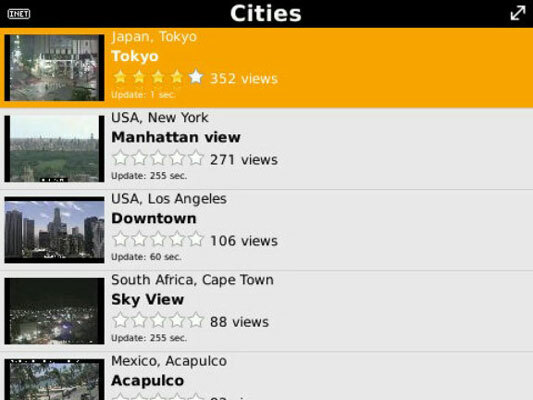 iSpyCams links your BlackBerry to hundreds of public Webcams around the world. You can choose by country or city, by location (beaches, cafés, and hotels are always in demand), what’s most popular with other viewers these days. The public cameras available in this app include those set up by tourist bureaus, hotels, attractions, sporting arenas, and parks. Some present still images refreshed every minute or so, while a handful are live video. 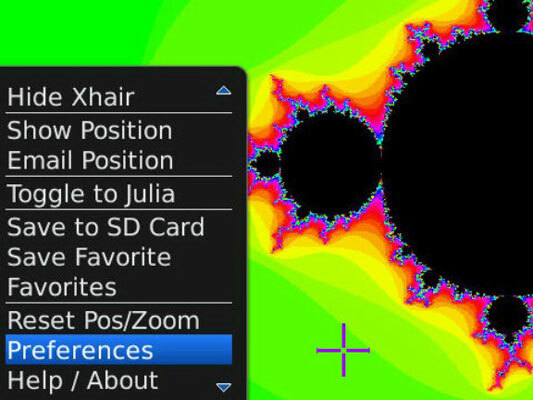 At many of the sites, you can examine a “camera card” that tells you a bit more about the location being shown. And some of the cards link to a Web site with even more details. 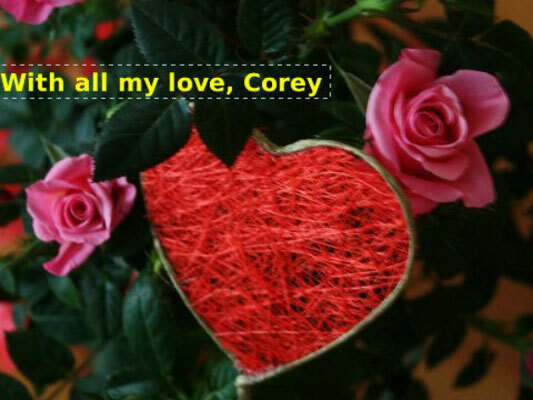 Straight from the heart — and from your BlackBerry’s Greeting Cards Maker app: birthday cards, expressions of love, wedding and baby congratulations, and other messages. And you can also use any photo that exists on your phone in your card — images you’ve snapped by using its built-in camera or downloaded to the phone from your computer or another device. You can add standard wishes in English, French, German, or Spanish, or enter your own words and even an emoticon if that’s the sort of way you speak or write. Download BlackFox Innovations’ Round of Applause to your BlackBerry, and with a click of a button, you can let loose a polite smattering of claps, a rousing ovation, or even a cacophony of cheers and huzzahs. You can play them for yourself, or you can let loose the cheers for your boss or significant other. 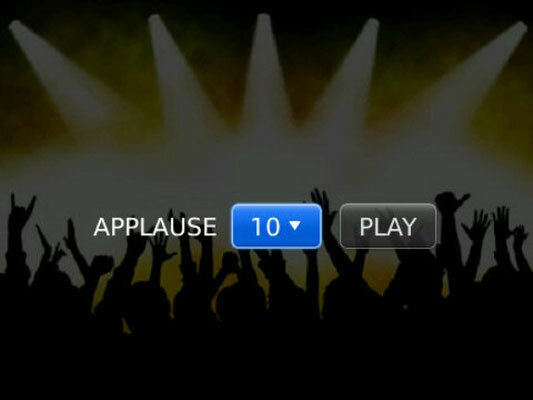 This simple application comes equipped with 20 variations of the round of applause (identified only as numbers). What’s the use? Not much, except they’re hypnotically pretty. You can stare at one for a while to productively waste time, and by using this app, you can save your favorites to the BlackBerry media card and use them as a wallpaper for your home screen.